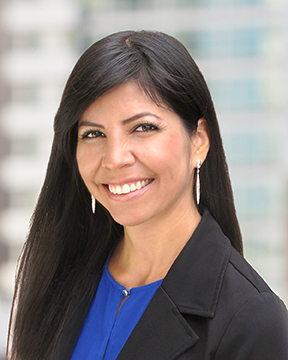 Fauntelle Carrillo has more than 10 years of experience in the risk management and insurance industry. In her previous roles as account executive and senior underwriter, she gained valuable expertise at developing detailed exposure analysis and finding coverage solutions for unique risks and uncovering specific insurance needs of her affluent clients. As an account executive in Cavignac & Associates’ Personal Lines Department, she is charged with maintaining existing client relationships; educating clients on preventative risk measures to protect their family members, themselves and their personal assets; and recommending appropriate levels of insurance coverage. She also is responsible for identifying and contacting new business prospects, obtaining the information needed for ratings and issuance of proposals, and developing new marketing strategies. A graduate of San Diego State University, Carrillo holds a Bachelor of Science degree in business management. Subsequently she completed a continuing education course at AIG PCG University, designed to familiarize attendees on the various risks of high-net-worth clients. She also completed a course presented by Chubb Producer School that also educated students on the risks associated with high-net-worth clientele and how to properly protect them. Born and raised in Orange County, Carrillo now lives in Point Loma. She serves as a volunteer for Alzheimer’s San Diego.